NIKU Farms connects you to local Ontario farmers who have a commitment to quality, ethical treatment of animals and humane farming practices. NIKU Farms only promotes farmers who let their animals roam freely on pasture, and who refuse to use hormones, antibiotics and chemicals. Our farmers raise their animals in ways that are both ethical and humane. We provide full transparency about each of the farms and how they raise their animals. See below for more information about our individual farm partners. After spending seven years on a one acre permaculture forest garden homestead, couple Tim Fisher and Jennifer Osborn decided that it was sheep they really loved working with. 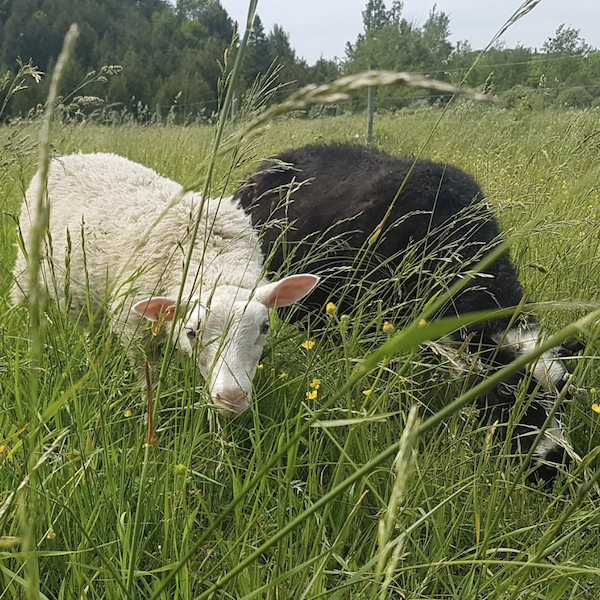 Drawing from their homesteading experience and following Jane Goodall's Five Freedoms, they began to develop a high animal welfare permaculture sheep farm doing "all things sheep" including wool, sheep milk gelato and dairy, and of course pastured lamb on a hilled farm in Grey County. All Sorts Acres' goal is to raise happy and healthy animals in a regenerative way, letting the land guide their agricultural and stewardship decisions. Big Rock Bison is located right between Lake Huron and Georgian Bay in beautiful Shallow Lake ON. Be careful not to blink, or you will miss it! #smalltownproud. They consider themselves land stewards. Grassland restoration is a major component of their farming operation. They work with mother nature to promote the growth of native grasses that their bison thrive on. They are involved in every part of the process of getting 100% grass fed bison from gate to plate. Their priority is to continue to do what is best for their animals, their land, and their customers. They believe it is their duty to ensure Big Rock Bison is naturally raised in a low stress environment. From their family to yours! Blackview Farm is located in Listowel Ontario. 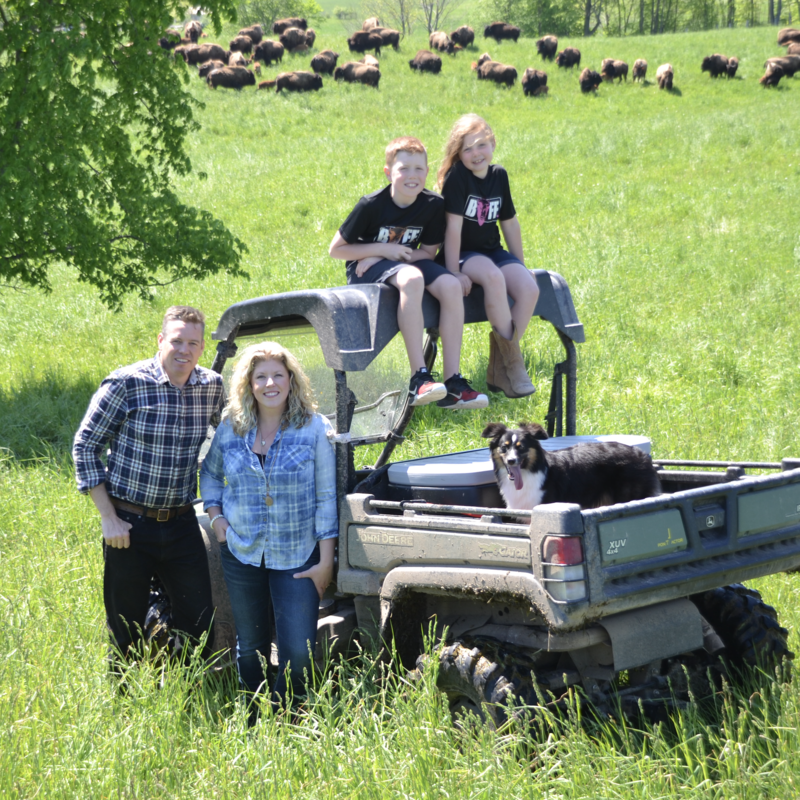 Bill and Michelle of Blackview Farm strive to bring you the best in Grass Fed and Grass Finished beef. Calves are born in May and are grazed alongside their moms for another 34-38 months. All the animals ever eat is grass, and high quality hay. They also rotate a variety of poultry to graze behind them. In nature, birds have always flocked around a herd of herbivores – they “disinfect” the fields by eating the bugs and adding manure to the ground. 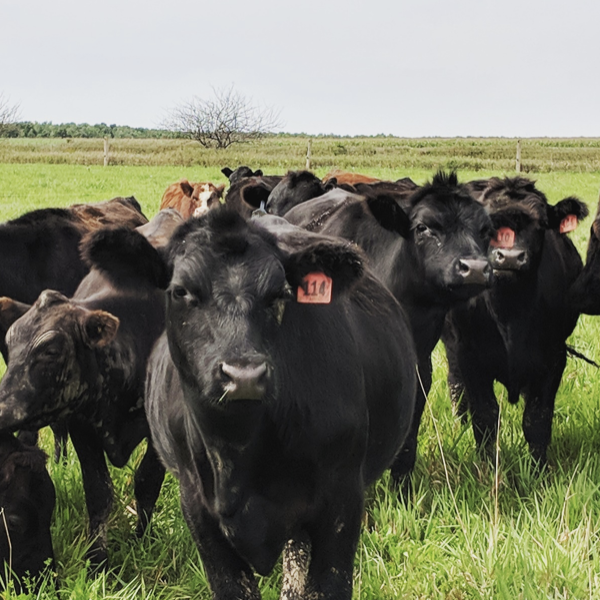 A high quality, grass finished beef is only available when you orchestrate the seasons, the grass growth and animal movement; accompanied by the age and genetic make up of the animal. Bill and Michelle are the passionate conductors of this orchestra, and they invite everyone to taste and enjoy the output of their hard work. They hope that you inherit a sense of the place where their animals are raised and cared for. Marita Fields is a local farm in Grey County close to Dundalk Ontario. Owned and intensively managed by Marlin & Rita Martin and a family of six children. Marlin & Rita both were raised on commercial feedlot and hog farms. They wanted something different for their own family. Less heavy metal equipment, and less big concrete barns. They let the animals harvest the grass, making hay with surplus and stockpiling for winter use. As the name implies, they are all about the fields. Fields of grass with cattle grazing while dutch harness horses and hackney ponies prance in lush pastures. They love what they are doing, and you will love the results. 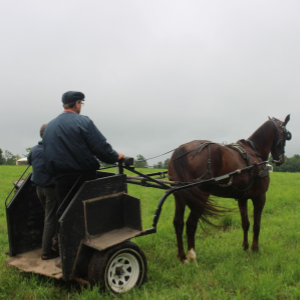 Stone Horse Farm is a local, family-owned farm in Innisfil. 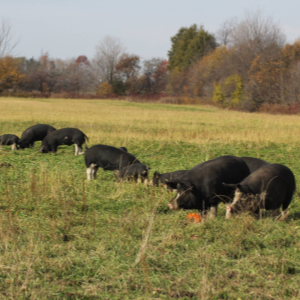 Owner and manager Lisa Peterson raises chickens and heritage Berkshire pigs on green pastures and non-GMO grains. The freedom to forage for natural food they desire is a win-win. The animals live a stress-free life out in the sun with acres of lush greens to graze on, and we are treated to the incredible flavour of meat that is also nutrient dense and loaded with healthy fats and vitamins not found in confinement or free-range meat. You will instantly taste, smell and see the difference. No antibiotics or hormones are used. Woolley's Lamb Farm is located in Simcoe, Ontario. In 2008 after seeing lambs grazing orchards in New Zealand, a young farmer was determined to bring this idea back home. 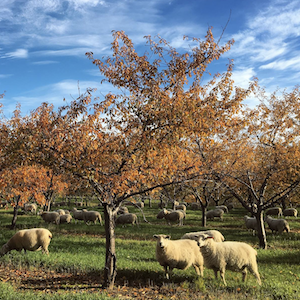 If you spot sheep wandering between the cherry trees at Woolleys’ Lamb farm, don’t worry – they’re exactly where they’re supposed to be. For owners Carrie Woolley and Brett Schuyler, letting their grass-fed livestock graze freely amongst their fruit trees makes perfect sense. The innovative process provides shade, shelter and space for the sheep to forage. In addition the lambs can be found foraging on cover crops (a crop grown for the protection and enrichment of the soil) and wooded pastures (silvo pastures). These sustainable farming practices result in an eco-friendly lamb that is born & raised on a 100% pasture diet. We want to connect consumers directly with their local farms who are raising animals the right way. If you are a farmer, or know of a farmer who should be part of the NIKU Farms community, please send us an email at admin@nikufarms.com.